iTUNES | BLEEP | BOOMKAT | NINJASHOP | AMAZON Lapalux Without You BF038 1. Fjallraven Kanken 16L bestellen schoenen nike air max 2016 goedkoop Without You (Radio Edit) 2. air max 1 pas cher Asics Gel Nimbus 17 męskie Without You 3. New Balance 678 hombre Swallowing Smoke 4. 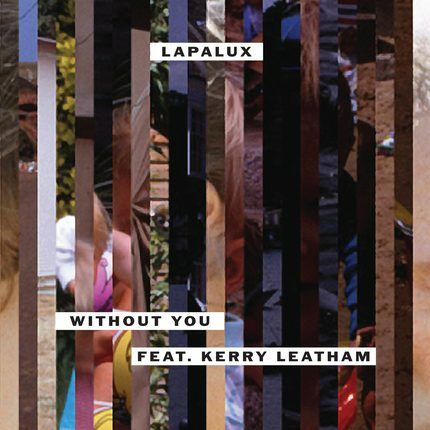 New Balance Goedkoop Guuurl Without You is the standout single from Lapalux’s highly anticipated debut album, Nostalchic. Kobe 11 Scarpe Elite Featuring the brilliant, breathtaking vocals of Kerry Leatham, it’s the perfect distillation of one of electronic music’s most startling new talents. nike air max 1 essential mujer If many producers use the electronic staples – glitches, fragments and unfamiliar swing – few know how to use them with such intent as Lapalux. Greyson Lambert Jerseys Stuart Howard adopts these devices only to enhance the emotional force of his music, never simply for their own sake. Texas A&M Aggies fjällräven kånken Stora ‘Without You,’ is a rainy-day, heartbreaking blues made all the more powerful by the slowed-and-sped vocal. nike air max chaussures vente Sung straight, it wouldn’t have had the sense of shattered, conflicting emotion that it does. New Balance 446 męskie This is electronic music at its finest: affecting and haunting in a way no other ‘genre’ can be. Chaussures Nike Pas Cher Brandon Crawford Jersey Added to the package are two bonus tracks. New Balance buty damskie ‘Swallowing Smoke’ is exclusive to the single, and sees Lapalux explore haunting textures that give way to a yearning, multi-layered melodic romp.